PARENTS..Is the dreaded ‘I’m bored’ a common phrase in your house? 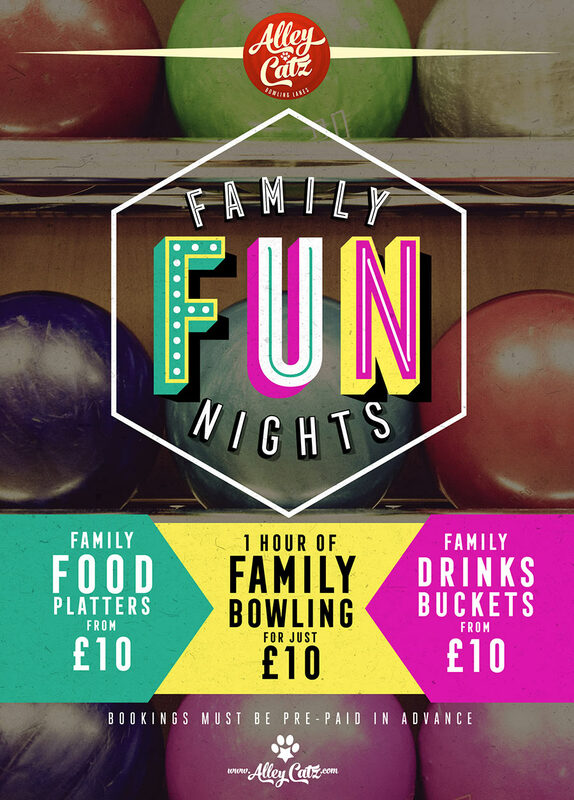 Here at Alley Catz we can help you banish the boredom with our Family Fun Nights! We have hours of good fun and great times to be had every Friday night from 5PM to 8PM, making sure they’ll be home in time for bed. We also have a variety of food platters to feed the family from just £10, so mum and dad you can sit back and take a break from cooking as we take care of it for you and you can enjoy your night. So what are you waiting for! Book now to make sure you can get in on all the bowling fun!